Team Barbados Rio 2016: Tia-Adana Belle (400m Hurdles) – Barbados Olympic Association Inc.
Tia-Adana was encouraged to get involved in the athletics by her mother and coaches Jasper Blades and Janelle Denny. In her first year attending CARIFTA in Jamaica in 2011 she was part of the 4 x 400m Relay team which won silver. 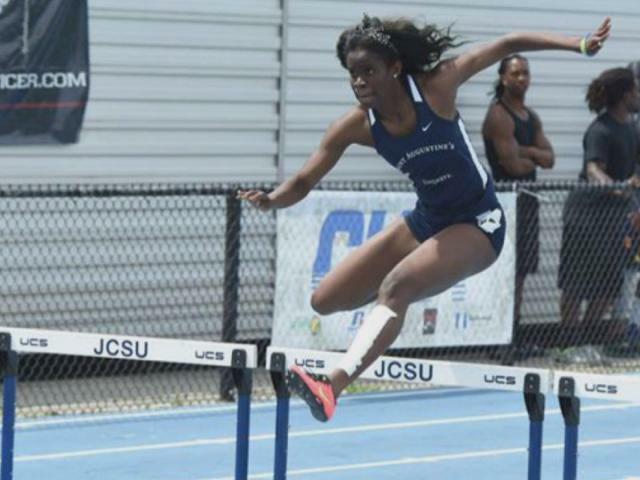 She won two silver medals in the 400m and the 400m Hurdles at the CAC Juniors in El Salvador. Tia attended the 2013 World Youth Games in the Ukraine and won a silver medal in the 400m Hurdles. Tia’s favourite colours are blue and purple and she loves to listen to R&B and Rap.